In the Fall, OBU offers Learning Communities to incoming freshmen. This is a special opportunity for students who are selected and invited to apply. There are limited spaces available and this unique opportunity will give selected students a chance to make connections between academic disciplines, classmates and faculty members in a very unique way! Once you receive your invitation, you should apply as soon as possible! students in their transition to college. See a list of your LC options. You can develop a supportive network of classmates, professors, and peer mentors. The LC experience can help you to connect quickly with a community of fellow students, upper-class students and faculty. 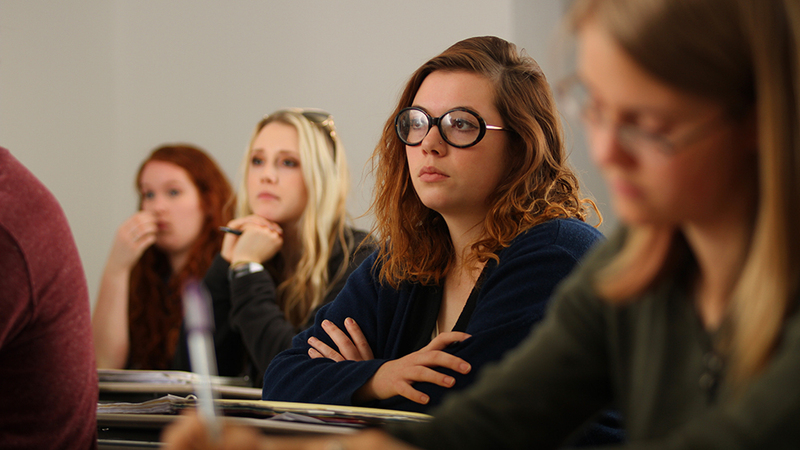 LCs ease the transition to college and establish a solid foundation for long-term collegiate success. Participation in an LC will allow you to extend the community developed during Welcome Week beyond the first few days on Bison Hill. LCs encourage you to engage in interdisciplinary or major specific learning through connections with faculty and between courses. LCs promote engagement, involvement, and success in learning. LCs provide unique opportunities to interact with fellow students and professors outside of the classroom through service, career exploration, study groups, social interaction and/or experiential trips. What are people saying about Learning Communities? Coming into college as a freshman, I was nervous I would not know anybody in my classes and would have to form new relationships after Welcome Week was over. Being in a learning community was great because right off the bat I was meeting people who were going to be in my core classes. Our small learning community became very close, and being a part of this wonderful group of people made transitioning to college much easier. I would strongly recommend being in a learning community to everyone coming to OBU regardless of the size of your high school, intended major or how prepared you feel for school. Everyone can benefit from being a part of one! Learning Communities facilitate the university mission of transforming lives by providing students with a network of support, encouragement, and accountability. Because students in learning communities are better connected with each other, they're more fully engaged and more productive in everything they do here at OBU. I think learning communities help both students and teachers do their best work, love and serve others and live faithfully. Learn what others are saying about learning communities! Email advising@okbu.edu or call 405.585.5080.